Halloween is coming! 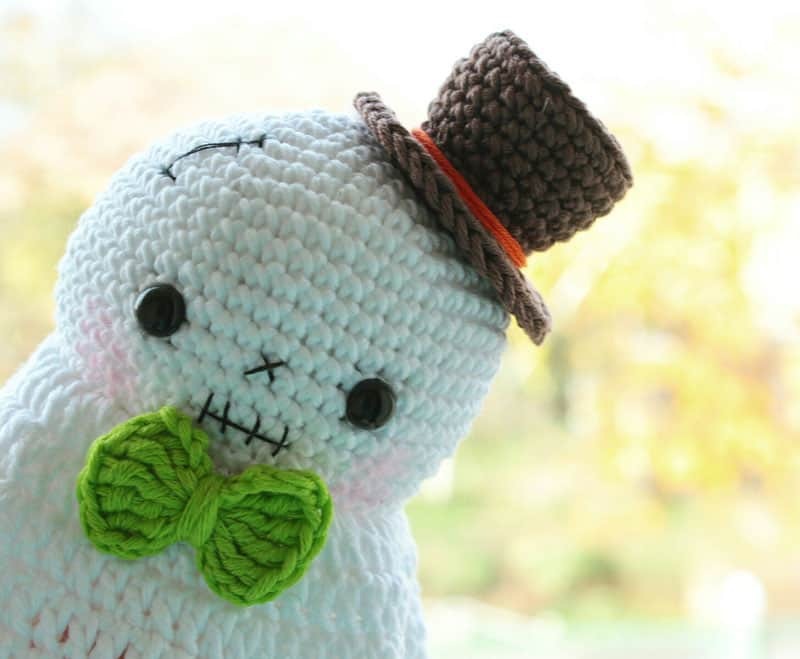 Crochet a cute ghost amigurumi, amaze your friends! Insert safety eyes approximately at Rnd 13-14 (8 stitches between them). Close the hole and fasten off. Go back to Rnd 19 where we worked in back loops only. 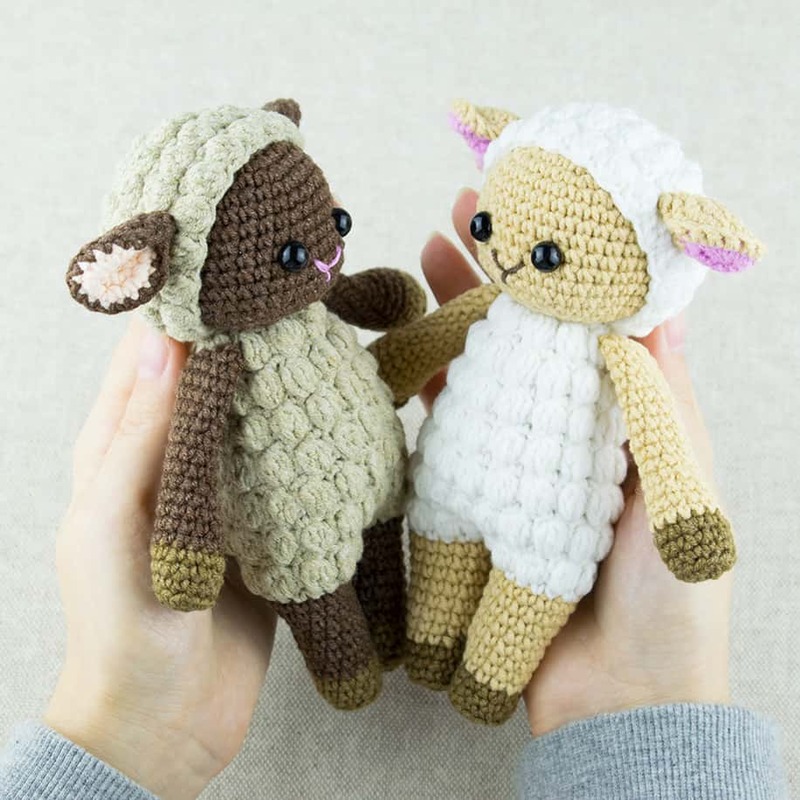 Now start crocheting in front loops of this round. 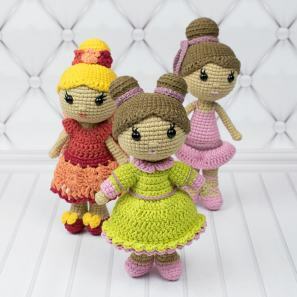 Rnd 9: make a frill: *ch 4, sc in second ch from hook, hdc, dc. Skip one stitch of the dress, sc in next 2 st* – repeat from * to * until the end. Continue working on opposite side of the chain: sc in next 4 ch, inc.
Rnd 2: inc, sc in next st, inc, sc in next 2 st, inc, sc in next st, inc – 2 times, sc in next st, inc, sc in next 2 st, inc, sc in next st, inc. Fold the sides together, crochet sc through both layers. Fasten off leaving a tail for sewing. Go back to Rnd 11 where we worked in back loops only. Now start crocheting in front loops of this round (thus finishing shoes). Crochet 5 rounds (18 sc in each round). Embroider shoelace. Slst, ch 3, (2 dc in each stitch) х repeat 18 times, slst. Crochet in magic ring: ch 4, 5 tr, ch 4, dc, ch 4, 5 tr, ch 4, slst, pull off, wrap in the middle a few times. Stuff the hat before sewing it to the ghost head. Make a ribbon on the hat with orange yarn. Sew the arms and the legs to the body. Embroider mouth, nose and a scar. Beautiful! What will be his mesures if I use the same crochet hook that you tells us to use, I mean number 2? 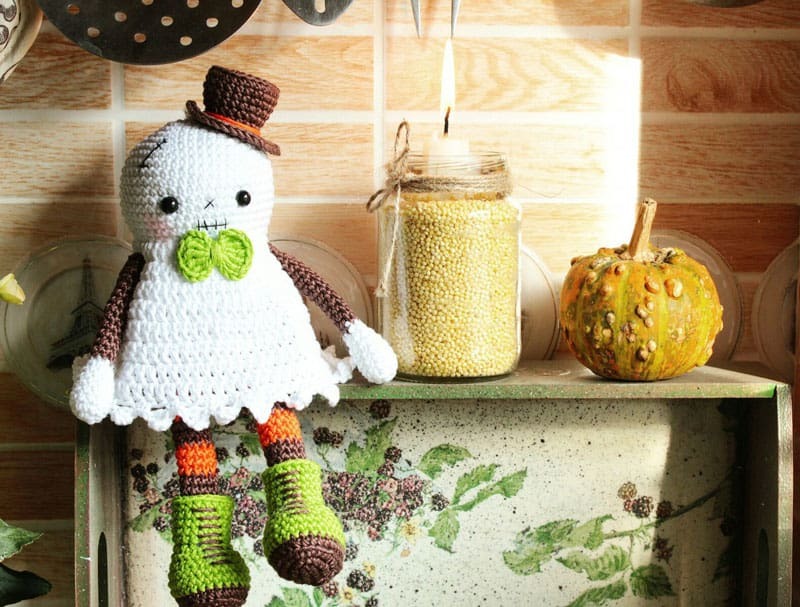 I am so in love with this little ghost! I am making a family to resemble my family of 5. I’ve made a boy and a girl and I cannot get them to sit with their legs dangling – they keep falling off. Where do you attach the legs to get them to hang off the edge? I’m thinking about adding weight to the next ones. Hello I was wondering what you mean by x in the pattern I’m not familiar with this term. 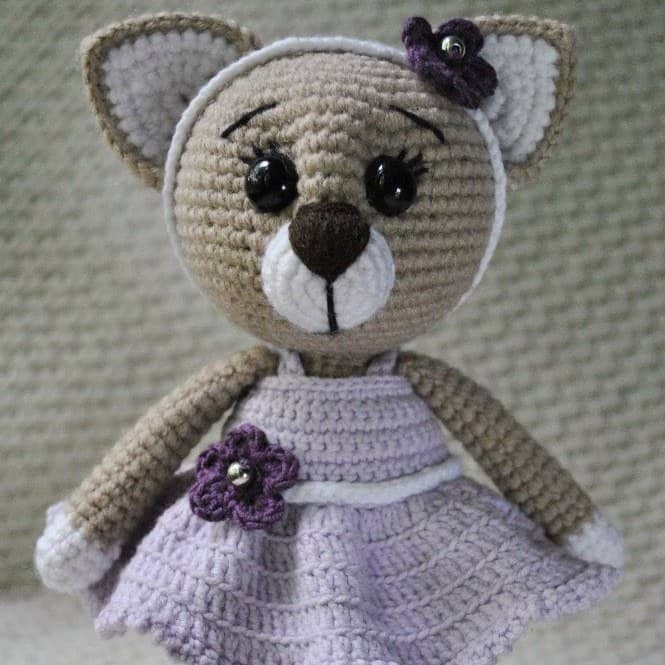 Could someone help me I want to make this little girl she is so sweet! A 2.0 mm hook is seriously small. 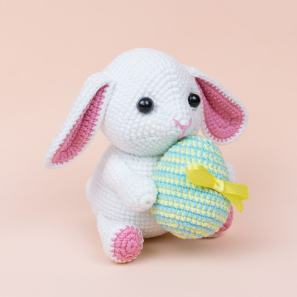 What kind of yarn do you recommend to work with it? Cotton? Surely not worsted weight . . . . This is so cute! I’m making this now. But are there mistakes in the pattern for the skirt? The even-numbered rows say SC but in the picture it looks like every row is DC. desenlerinizi beğeniyorum.önce defterime yazıp sonra örüyorum.Teşekkürler. Divinos patrones gracias por compartir! 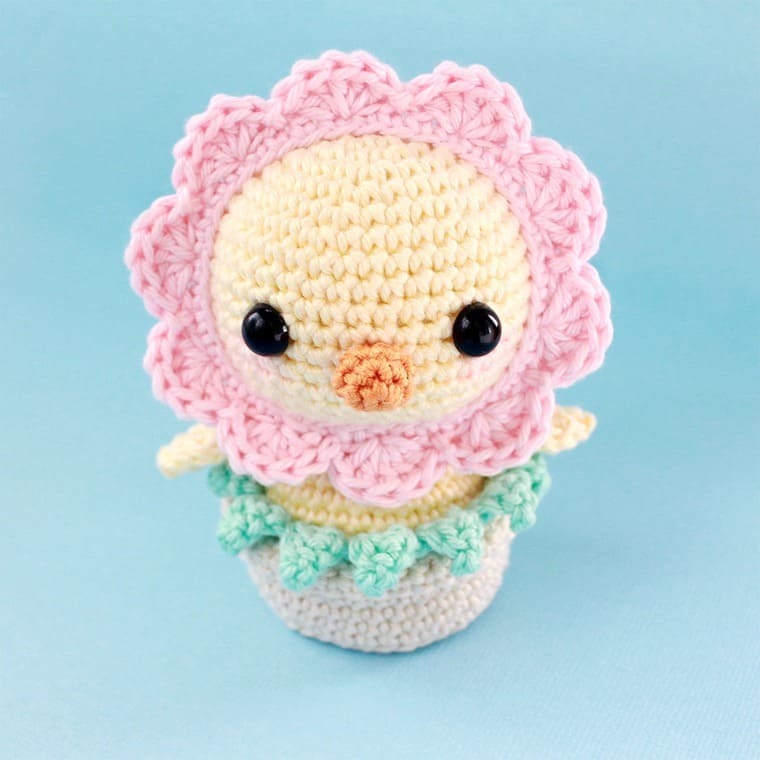 This pattern is super cute!! Can’t wait to make it. What size crochet hook did you use? It says 2.0mm , but that is tiny! 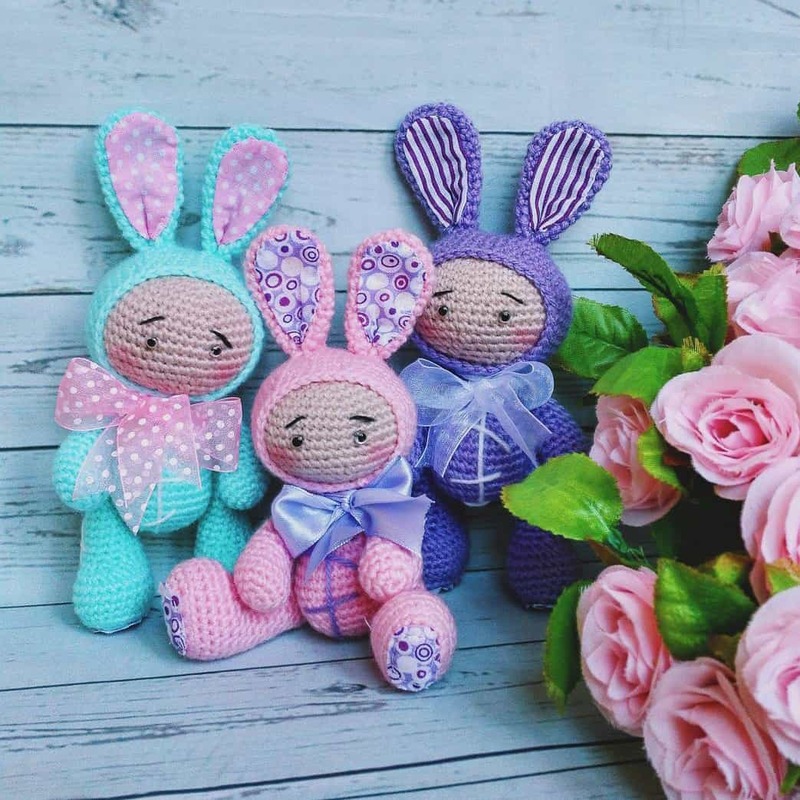 Wonderful new collection of amigurumi patterns. Thanks.